The Eucharist is the source and summit of what we do as Catholics. The primary purpose of the Music Ministry here at St. Francis Xavier Parish is to support the full and active participation of the assembly at each Eucharistic celebration. 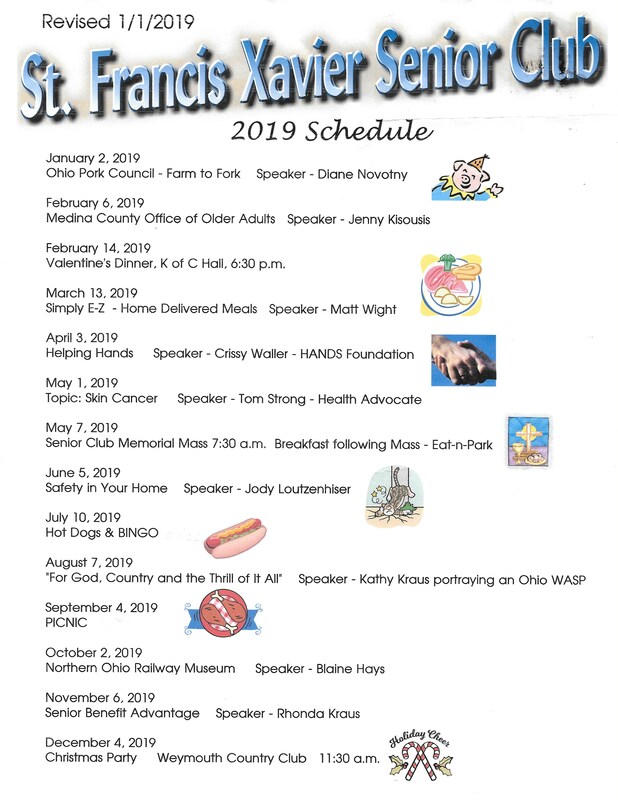 Below you will find a description of the various musical programs offered at St. Francis Xavier. Please contact the minister listed at the end of the description of each ensemble. We welcome and encourage your participation in one of these ensembles! 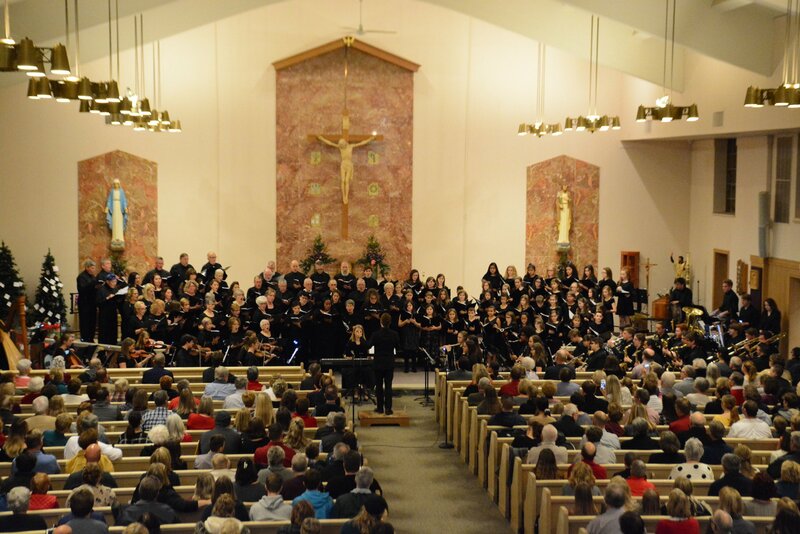 The Adult Choir is open to any parishioner of St. Francis Xavier, high-school-aged or older, who has a desire to promote a full, active and conscious participation in the liturgy through music. This group primarily sings at the 10 a.m. liturgy each Sunday as well as major feasts and holidays from September through May. While reading music and/or professional training is not required, a pleasant voice, eagerness to work together, willingness to learn new music and the desire to sing well are strongly encouraged. This group practices on Wednesday evenings from 7:10 to 9 p.m. in the choir loft. This group is directed by Tom Bonezzi. The Youth Choir is directed by Marian Fletcher and open to any student, grades three through eight, who enjoys singing. Our focus will be on learning sound musical techniques and basic musicianship while having fun and making music for the glory of God. The Youth Choir sings once a month at the 10 a.m. liturgy as well as special feasts and holidays. Rehearsals are held 6 to 7 p.m. on Wednesdays in the choir loft. The Bell Choir is directed by Tom Bonezzi and open to any parishioner of St. Francis Xavier, high-school-aged or older, who has a desire to ring hand bells joyfully, prayerfully and for the glory of God! 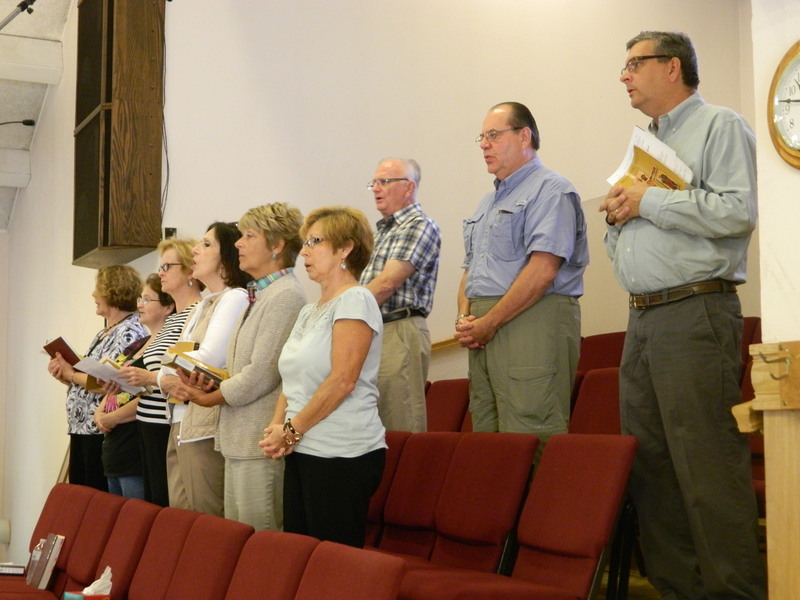 This group practices on Tuesday evenings from 6:15 to 7:30 p.m. in the choir loft. The Bell Choir plays at various Masses as scheduled, approximately once per month. Music reading skills are recommended, but not required. Contact Tom for more information. The Resurrection Choir is an important element of each funeral liturgy celebrated at St. Francis Xavier. Open to any individual who is available to sing on weekday and Saturday mornings, this group practices 20 minutes prior to each funeral liturgy. There are no auditions for this choir; however, a pleasant voice and the ability to attend rehearsals are important. 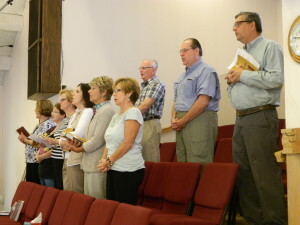 Membership in the Adult Choir is encouraged and helpful in learning music in harmony. Please contact Tom Bonezzi. The primary role of a cantor is to serve as psalmist – leading and proclaiming the verses of the Responsorial Psalm and Gospel Acclamation. In addition, the cantor is a leader of congregational singing. A cantor must possess confident and rehearsed singing as well as having a pleasing singing voice. An audition is required to serve in this role at St. Francis Xavier. Any parishioner high-school aged or older who is proficient on a string, wind or brass instrument is encouraged to share his or her musical talent at St. Francis Xavier. Extra instrumentation is welcome at all liturgies, but most noticeably during the Advent, Lent, Christmas and Easter seasons. Please contact Tom Bonezzi.